Before the soccer club makes the announcement, a number of European soccer stars suffered a lost of a match after they took a picture with the ‘Hotline Bling’ rapper. Paris Saint-Germain’s Layvin Kurzawa became the latest soccer star hit by a growing Drake curse when his team was hammered 5-1 by Lille on Sunday, April 14, immediately after he posed with the Canadian. Paul Pogba‘s Manchester United also went down 2-1 to Wolverhampton Wanderers in the FA Cup after he joined Drake for a snap backstage at his recent Manchester Arena gig, and Arsenal lost 1-0 to Everton after Pierre-Emerick Aubameyang posed with the rap star at the O2 in London. 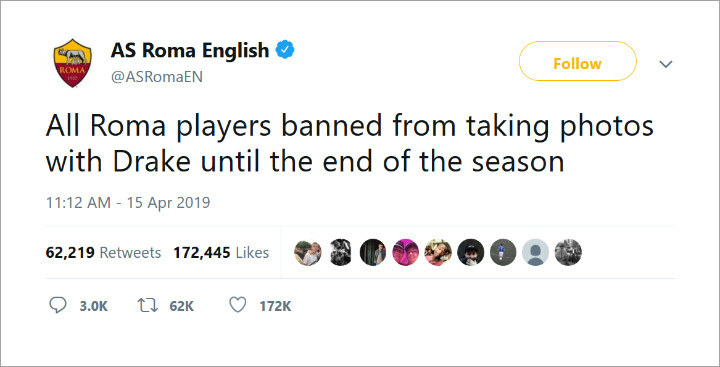 Sergio Aguero became the English Premier League player ‘cursed’ by Drake – he missed a penalty in the Champions League as Manchester City lost 1-0 to Tottenham Hotspurs. Bosses at AS Roma banned players from taking pictures with Drake. 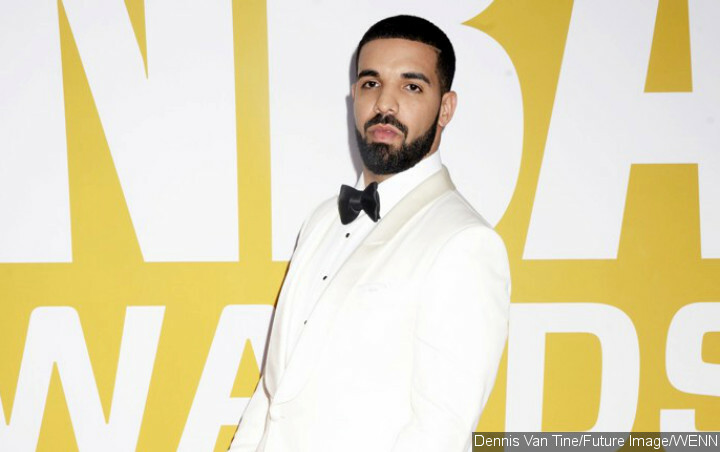 Drake’s sports curse began with basketball – a global ambassador for his beloved Toronto Raptors since 2013, the team hasn’t won a major game in that period. The rap star was also backstage with UFC superstar Conor McGregor‘s before his big 2018 fight against Khabib Nurmagomedov, which the Irishman lost in the fourth round.